AM I NEXT? 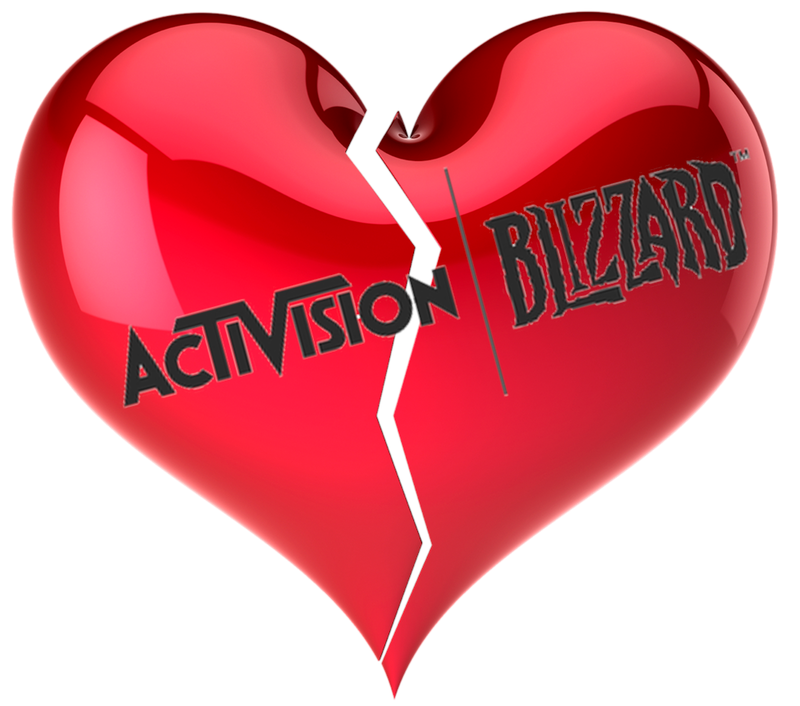 NO LOVE AT ACTIVISION BLIZZARD — AM I NEXT? Santa Monica, California-based Activision Blizzard, a major American video game and film holding company, has announced a major restructuring effort that will result in a major reduction in force, estimated to include 800 employees. An Activision spokesperson characterizes the restructuring as a “de-prioritizing of initiatives that didn’t meet expectations. “While we had record performance in 2018, it didn't quite live up to our expectations. We didn't execute as well as we hoped to in 2018 and our current outlook for 2019 falls below what is possible in an industry filled with growth opportunities. We measure our success by growth in reach, engagement and player investment and while we had record financial results in 2018, we didn't achieve the reach engagement and player investment goals we set for ourselves. 2019 will require significant change to enable us to achieve our long-term goals and objectives. We're making changes to enable our development teams to create better content for our biggest franchises more quickly. Across our key franchises, we're adding development talent to ensure our teams can deliver exactly what our fans have come to expect from our games, a consistent flow of compelling content. We'll also increase our focus on adjacent opportunities with demonstrated potential like esports for Overwatch League and Call of Duty. We're stepping up production on our incubation efforts faster and increasing our investment in live services, in our tools, in our Battle.net platform and in new areas like our fast-growing esports and advertising efforts, but all with an intense focus on excellence, so we never disappoint our players. Our pipeline is excellent and our development talent the very best in the world. But we need to refocus our efforts so that our development and production resources are better aligned with our priorities. We're reducing or eliminating investment in games and initiatives that weren't living up to player expectations, where our leadership teams have determined may not live up to player expectations in the future. To drive improved execution and to fund development investment, we will in certain parts of the business reduce complexity and duplication in our back office functions, consolidate certain commercial operations, and revamp our consumer marketing capabilities to reflect our continued migration to a largely digital network. “We have, therefore, developed a clear plan for this year to refocus and reinforce the foundation for growth. This refocus includes initiatives developed by our new business unit leaders each of whom has demonstrated the ability to combine creative excellence with the commercial focus on profitable growth. First, we are investing more in development for our biggest internally owned franchises across upfront releases, in-game content, mobile and geographic expansion. Second, we are deprioritizing initiatives that are not meeting our expectations and reducing certain non-development and administrative-related costs across our business. Third, we are integrating our global and regional sales and go-to-market partnerships and sponsorships capabilities across the business, enabling us to better leverage talent, expertise and scale on behalf of our business units. Our restructuring plan sheds investment and less productive non-strategic areas of our business and will result in a net headcount reduction of approximately 8% while also driving a significant increase in investment, focus and capabilities around our biggest franchises. We're confident that over time this plan will enable our teams to accelerate the delivery of high-quality content to our communities.